The castle was built in the 11th century, probably at about the same time as many other castles in the area. 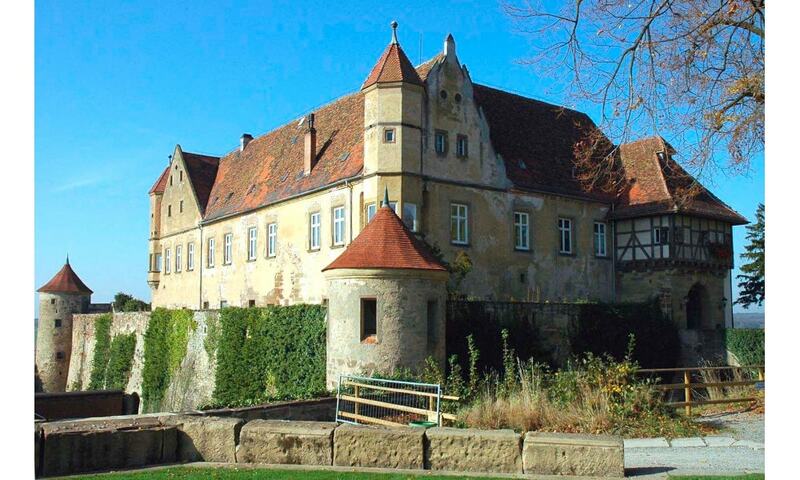 Stettenfels castle is east of the historic town center on a sandstone ridge. The castle is surrounded by a broad moat, with three old towers. Over a massive bridge, a gatehouse leads to the triangular castle courtyard, dominated by a fountain and surrounded by various residential buildings of the castle.Noticeable in the courtyard is the historic staircase tower. While most buildings in the grounds date back to the renaissance castle, the staircase tower is marked by recent rebuilding. The castle is now open to the public. Community concerts and theater events are held at the castle.